Career Insight - Sarah Lee - Portrait & Features Photographer. Sarah became interested in photography in the 1990's and started shooting professionally in 2000 for The Guardian newspaper. 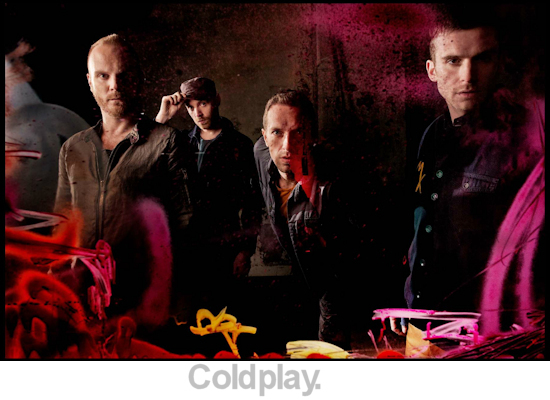 Whilst Sarah continues to work with The Guardian and Observer newspapers, she also works with the band Coldplay, having recently shot the publicity imagery for their MX album and tour. Sarah recently completed a project for the Bafta organisation to shoot behind the scenes on their 2015 awards night. Sarah's work has also appeared in Time magazine, Billboard, The Sunday Times and many more. I was given an old Pentax k1000 for my 18th birthday. To be honest I was disappointed since I’d wanted one of those flash little Olympus point-and-press jobs that was the “in” thing at the time. I had had no interest in photography but as soon as I learnt how to use it I was hooked. I then went to university to study English and found I was always too broke to buy film or process it. I then heard that if you worked for the student newspaper you could be given free film and unfettered access to the paper’s darkroom [the UCL darkroom was always booked to the gills with medics who never seemed to let anyone else in]. I was incredibly lucky since when I wondered in to its offices the London student was going through a very golden patch. Abbie Trayler-Smith was the picture editor, Dom Tyler and Ed Alcock were also working there at the time. It was very 1990’s press gang but it did prove a launch pad for all of us to have actual careers in photography. 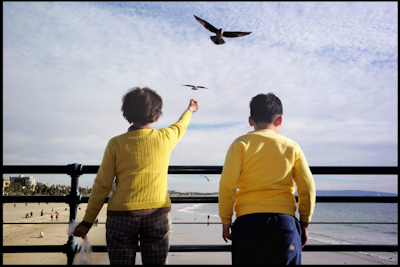 You don't have a formal photography education, did that ever have an impact on your career? Yes, there were certain disadvantages to this as well as advantages. I was lucky enough to be able to learn on the job. Eamonn McCabe, the Guardian picture editor, gave me a two day a week trial after seeing a portrait I’d taken of Iris Murdoch and John Bayley (I was a researcher on Murdoch’s biography for a few years as a student). When I look back at some of the work I did for The Guardian in the first year I was there I wince at how completely clueless I was. I had no idea how to use lighting, even flash was a mystery to me. And while I was confident in my comfort zone I was totally out of my depth if I was sent to a job that was more challenging. Also all my work was on film then which, as you know, is far less forgiving of technical incompetence than digital. I was very, very lucky to be allowed to learn much of what I now know as I went. Though there are still odd gaps in my technical knowledge that I just work around but I’m sure wouldn’t be there if I’d had a formal training. What was your break in to paid work? Thanks to Eamonn I was paid a small “wage” even on this ad-hoc training scheme. As I became more assured and started to be given more actual commissions I joined the NUJ which meant The Guardian had to pay me the going rate! However, the first time I was paid for my photography was when I sold a few pictures I’d taken of Coldplay to Parlaphone for them to be used on the Parachutes album sleeve. It was just luck that I’d been at UCL with the band and had started photographing their concerts and rehearsals as a student. You didn’t assist then before becoming a photographer? No, not at all. I wish I had since it’s an invaluable way of learning about lighting and handling different types of shoots. What type of work do you shoot? 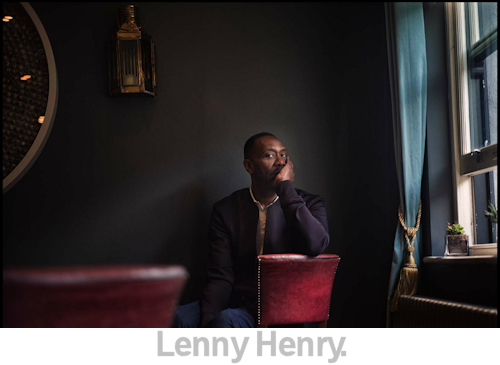 I shoot editorial features and portraiture three days a week for The Guardian. In my other time I like to anything else that is interesting and pays the bills! Mostly features and portraiture based. I also like to persue my personal work as much as I can since it think that feeds back in to everything else I do. Photography is my job and how I pay my way and keep a roof over my head but it is also a vocation, something I “have" to do and something I spend most of my waking hours wondering how I can progress and get better at. Are you a photographer running a business or a business owner who shoots photographs? I hope I’ve just answered that. Though it is extremely important to my sense of who I am as a person and a photographer that I do pay my way and earn my whole living from my photography. There are plenty of amateur photographers I admire, but for me this is my profession not a hobby. And since I have no private income, damnit! I have to keep making that work for me. The two things are tied together, but if push really came to shove then i’m a photographer first. The behind-the-scenes tasks of running a business are tedious. How do you cope with that? Badly. I pay an accountant to deal with all my receipts etc. I’m not great at paperwork and would much rather not deal with it. It’s a constant battle balancing, for me, an artistic profession with the nuts and bolts realities of running a business. I did recently become a limited company and VAT registered but I should have done that years ago and was advised to but it frightened me to think of the change so I didn’t do it when I should have. Hopefully I’m getting better at managing the business side, but it is a constant battle. My website is the main way. Other than that it’s word of mouth. How important is social media to your marketing? Not that. My Facebook and Instagram are private, and I’m not that prolific a tweeter. Though my habit of constantly posting photos on Facebook just because it’s good to share new work with an audience, however small, has resulted in all sorts of unexpected commissions without my ever deliberately using the platform as a marketing tool. Do you still take a photograph for your own pleasure or has it become business-only? Yes very much so. Though a few years ago I was distressed to realise I’d begun to focus much more on photography as a job, and to focus solely on my commissions. I made a conscious effort to get out of that habit. I started using different equipment, like smaller cameras that I could carry with me at all times, first a Fuji x100 and later a Leica M and I experienced a total 180 degree shift in my attitude towards photography. As I said earlier I now consider it a vocation. Something I need to be doing and progressing every day, jobs or no jobs. Is there a "Sarah Lee" style? I’ve been told that some of my work looks as if it has a style, but I can’t really see it. To me I feel a bit of a fraud, there is only one real way I see things and can “see” how to take photographs so that’s how I take them. It would be nice to think that I’m developing a “style” but I hope I’m more at the beginning of that journey than the end. I’d like, god-willing, to continue this learning process for the next few decades. Why do large media organisations such as Bafta and The Guardian or mega-groups like Coldplay ask you to shoot their imagery? I hope because they think I’d be the best person for the job. But with coldplay there could be a case that it’s nice for them, being so very famous/ rich etc, to look back to their past and have that connection with the really early days. Ach, who knows? But I do hope that it isn’t all just luck and good fortune and that there is something I bring to the table that these organisations respond to. It isn’t really for me to say though. There aren't many women in the photography world, has that been a help or a hindrance? Hmm, both. Fleet St. is a very male world where photography is concerned. But like any photographer you use whatever it is that you have in your metaphorical bag and I use being a woman to the best of my advantage. Sometimes it grates to find out men are being paid more, or clients assume you might be less of a photographer because you’re a woman but if that happens then you just have to prove them wrong! Though I have learnt to be much tougher than I was when I started out about calling out blatant sexism and inequality issues when I see them. As a female photographer, do you feel you have a different vision to your male collegues? I’m a different person from all my colleagues male and female so my “vision” is my own. I don’t particularly feel it’s coloured by female sensibilities. Do your portrait subjects react differently to a female photographer? Yes that may be true. Some powerful politicians and business men, etc have certainly wondered if they’ve been sent the “b team” because I’m a woman which is one issue, but also some people respond differently to men and women so you can sense that. It isn’t always negative. Some people are less nervous of or threatened by a woman. As with everything you just use what you have and work accordingly. There's a constant flow of new photographers trying to make a profession from their passion. What does it take to stand-out from the crowd in this competitive market? Hmm, I’m not sure I can answer that. It’s a very, very tough market. A good website, that is continuously updated with new work coupled with a good can-do attitude that recognises opportunities and how best to exploit them is a good place to start. Get a good accountant and also never work for free. “We don’t pay but it will be great exposure” is universally in my experience total b*llocks. If your work is good enough to be wanted and published it’s good enough to be paid for. What advice would you give to anyone trying to make it as a photographer today? I’m not sure I feel very qualified to give advice, but I’d suggest not working for free unless you choose to because you can see the clear advantage to your own progression and also to always keep at it trying to improve your technical skills and develop your eye - it’s an endless journey! Do you have any thoughts on the future of photography as a profession? I do worry. The perfect storm of the recession in 2008 and the digital revolution created a lot of editorial outlets who wanted people to work for free along with many other photographers who feel working for free is the only way to start out. Also newspaper photography isn’t in a happy place. There are no new staff jobs being made and photographers are being laid off far faster than they are being hired, but I’m hopeful that quality will out and the profession will out. Yes iPhones are taking great pictures but mainly when they are in the hands of good photographers. It is still a valued skill and I think the dust will settle on a new professional landscape but there will still be paid work for talented photographers.. Anyway, I very much hope that’s the case! All images are © Sarah Lee and used with permission.